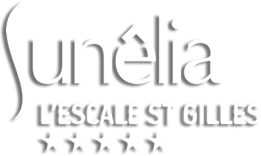 Located in the seaside resort of Bénodet, about 20 km from Quimper and 60 km from Brest, Sunêlia L’Escale St Gilles is a reference for the organisation of meetings in South Finistère. You will find all the ingredients for a successful event. Located 50 meters away from the beach facing the Glénan archipelago, and only 15 minutes away walking from Bénodet, your meetings, conferences or events will be unforgettable ! Our meeting rooms meet the requirements of large groups and we also have numerous comfortable high-end accommodations as well as a catering service that is always available. Our team stands at your side to organize your business projects : incentive, team-building or company day. Besides, we have a wide variety of original activities to suggest! Nestled in a 9-acre green setting, our modern and spacious accommodations will provide you with the calm and comfort you are looking for. You will appreciate the tranquility of the place, especially if you come for a meeting or an incentive in Brittany. All our luxurious mobile homes have several bedrooms, a lounge / kitchen area, a bathroom and a wooden terrace. 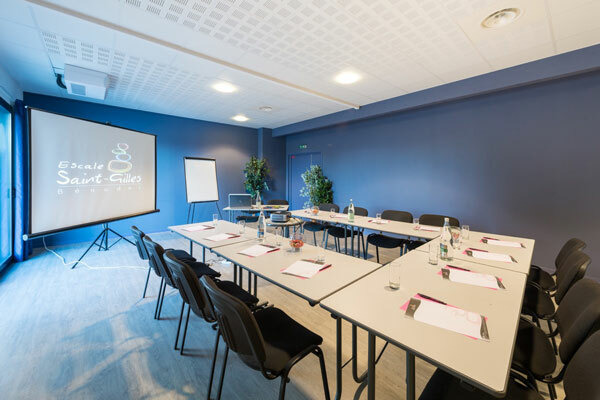 From the Horizon meeting room (30 m² for up to 30 people) ideal for a team building to the Grand Voile conference room designed for large general assemblies and workshops (capacity of 300 people, 400 m²), we will advise on the space for your corporate event.